HOW LONG DOES POTENTIAL LAST? Demarai Gray. Unfulfilled potential or at the limit of his capabilities? Gray is currently under a lot of scrutiny for his performances this season and particularly in recent weeks following the appointment of Brendan Rogers. He’s been given a chance to prove that he has what it takes to be an influential player in Brendan’s new Leicester City side. I think it’s safe to say that it’s an opportunity he hasn’t grabbed. Which leads to the question of just how long do you give potential the chance to flourish? Gray isn’t the first player who seems to have failed to fulfill his potential (at least not yet) and he certainly won’t be the last. We only need to look at the rest of the squad to see that. Kelechi Iheanacho is another one for whom the clock is ticking. What’s more, Gray, Iheanacho or indeed Leicester City aren’t alone in failing to fulfill the hopes and dreams placed upon them. Every club with an academy has a whole host of stories about unfulfilled potential, so where does potential end and wasted opportunity begin? For some it’s very young. Something was spotted in a youngster at the age of 5, 6, 7 and they were brought into the fold to see if they can make the grade, given the right surroundings and the right coaching. The lucky ones make it into the Academy and then the spotlight really gets turned up. More competitive matches, more intensive training, the occasional opportunity to join in with first team training to make up the numbers. Every single player who walks through the doors of any Academy has potential, but so few make it. But why? For some it’s clearly a limitation on technical ability or on-pitch intelligence. We’ve all seen players with great skills but absolutely no idea about when to apply them, what positions to take up as a move starts or breaks down. These, to a certain extent can be coached but a lot of it comes down to natural intelligence to learn from every game they play or watch. In Gray I see a player who doesn’t seem to be learning very quickly, so it’s either down to his lack of understanding about what he should be doing on a pitch or lack of coaching. Surely it can’t be the latter? Sometimes I do wonder though. The second reason for a lack of fulfilled potential is confidence. Every player in the world (aside maybe the Galacticos such as Messi and Ronaldo) suffer from a lack of confidence. We’ve all seen players who seem invincible at certain points of the season and then can’t wait to get rid of the ball at other times. A lack of confidence can be crippling. If that can’t be shaken off when you’re in the development stage, then unfortunately a player’s career is only heading one way. The third, and most unforgiving reason for unfulfilled potential is attitude. The best teams, the best players work hard so that even if they have an off day, they are making a contribution. Sadly, it’s hard to watch Gray and Kelechi to a certain extent without thinking that the main issue is one of attitude. It’s often said that a lack of attitude is unforgivable in a professional footballer. That everyone in the crowd would give their right arm to be able to play for the team they support (even if that has an adverse effect on their balance!). It’s also a fallacy to think that hard work and attitude is enough. Yes, we all think that the least you can do is give 100% in every game, but there has to be more than that. 100% effort isn’t enough if it doesn’t translate to points on the board. Ade Akinbiyi was testament to that. He ran his socks off. Unfortunately, he couldn’t score and as a striker, that is the currency of your value. However, Akinbiyi wasn’t all to blame for his unfulfilled potential. 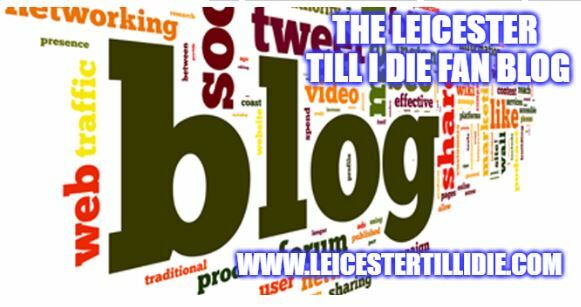 Peter Taylor has a lot to answer for, but that’s for a different blog post. So back to the question in hand? How long do you give potential to blossom? I fear that in Brendan’s brave new blue and white world, Gray will be on his way. Possibly on loan if Rodgers still believes in his potential but more likely is a transfer away. The frustrating thing with Gray is that when he plays for England under 21’s he seems a world beater so why doesn’t that translate to club football? 8 goals in 109 appearances for City is a sad return. Even more disappointing for a winger is a paltry 6 assists. Potential can take you so far. The fulfilment of that is down to the individual. Over to you Demarai Gray.